The Purple Dog is spacious, neat, modern, full of fresh character and flooded with light: ideal for groups of friends looking to getaway together and family holidays. 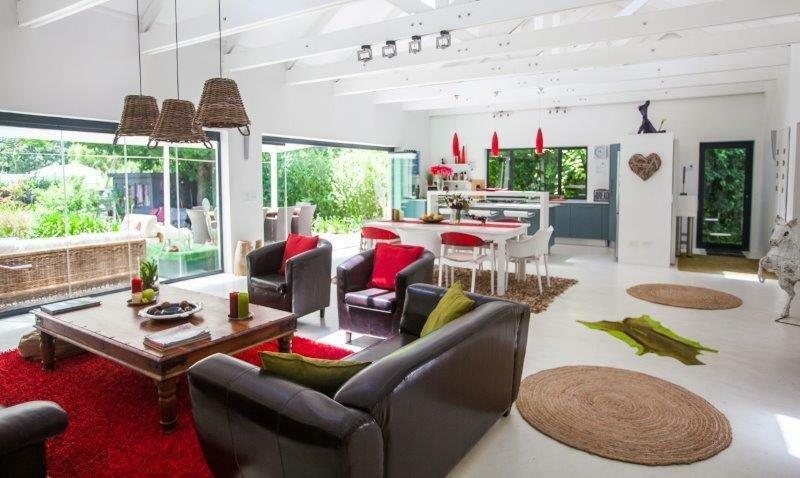 The house is child friendly with an open grass area and a boma braai. 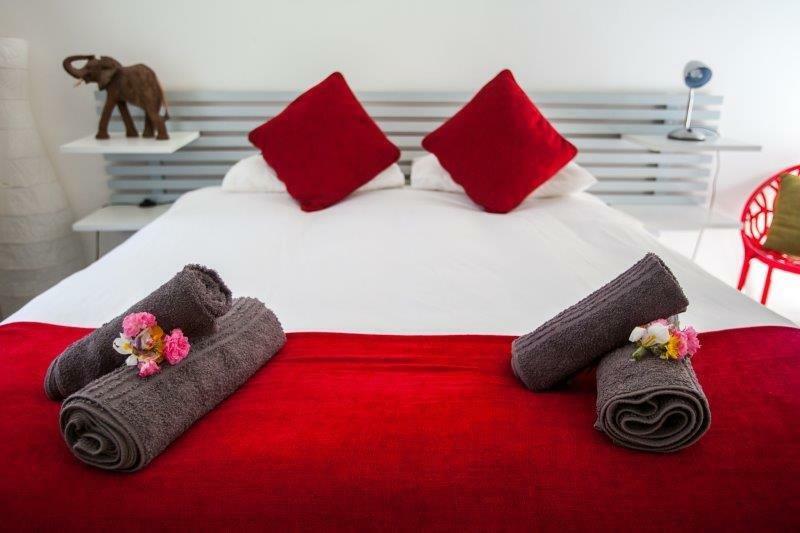 The self-catering house offers 3 modern bedrooms and 2 bathrooms with all amenities for up to 6 guests with excellent quality beds and linen and towels.We also have 2 extra folding mattresses (including bedding and towels) if there are more children. 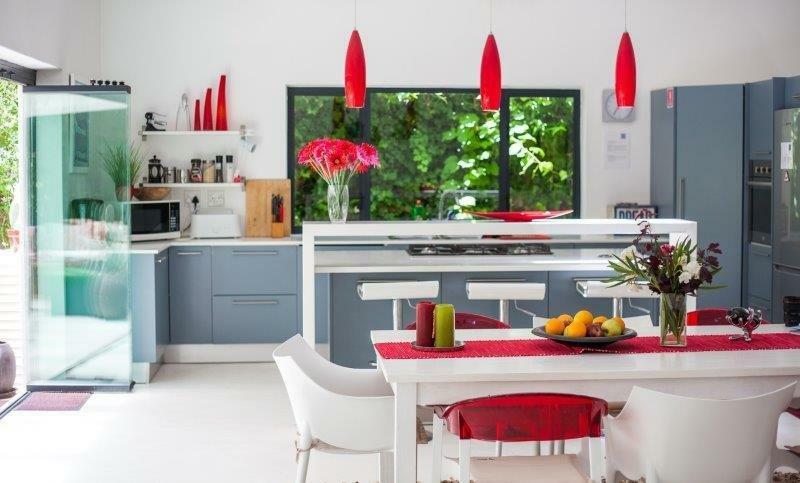 The upmarket furniture and artistic interior mixes perfectly in keeping with its location: sun-kissed open plan living, dining and kitchen area with bar, cooking island and a hobby chef's array of pots, pans and appliances. In summer you can open up all the sliding doors to make the house even bigger and spend your day on the huge patio and shady entertainment area or in our boma braai which itself is an invitation to entertain your family and friends for a braai. Or how about curling up in winter in front of the fireplace whilst looking into the garden through the huge windows and enjoying a glass of fine wine which awaits you upon your arrival or play one of the family board games we offer. 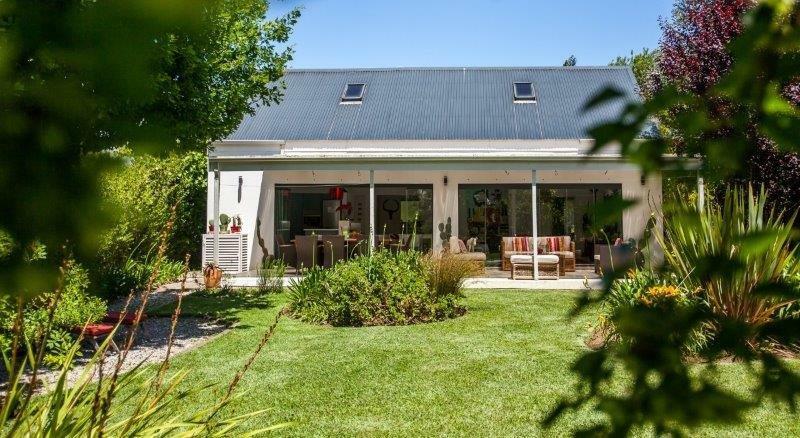 The house is perfectly located between the famous Saturday’s Greyton Morning Market (that shouldn’t be missed) and the Nature Reserve. A lovely private garden with citrus trees and lovely mountain views will spoil your soul and make you wish to stay forever. Therefore, to really appreciate the beauty of the surroundings and to experience Greyton at its best, a 2 night stay is recommended. cooking basics such as pepper, salt and other spices, vinegar and oil…). 2 bedrooms with queen size beds, one of them with en-suite bathroom. Third bedroom with 2 single beds which can be pushed together if required. Garden with lawn area, flowers and lemon trees (yes, you can pick the fruit in season). R2150 for the house for 2 guests. R150 per person thereafter up to 6 guests. Children between 2 – 12 R100. Children under 2 free of charge . Surcharge of R300 if staying only 1 night. Cash and internet transfers accepted. No cheques, debit or credit card.